Withdrawing money from your Go People Account is rather straightforward. However, there are a few conditions when it comes to processing withdrawals. Before that, here are the basic steps to withdrawing money. 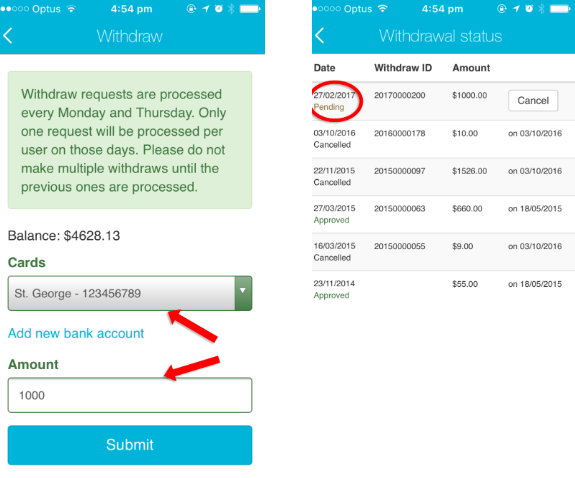 Open your Runners’ App and then press on the highest tab (which displays the current account balance), then click on withdraw. Then select how much you want to withdraw, and to what bank account. Press submit, and you’re done! Your request to withdraw money will now appear as pending. (1) will be processed on Monday, and the other on (1) Thursday. then will receive the second request on the Thursday. 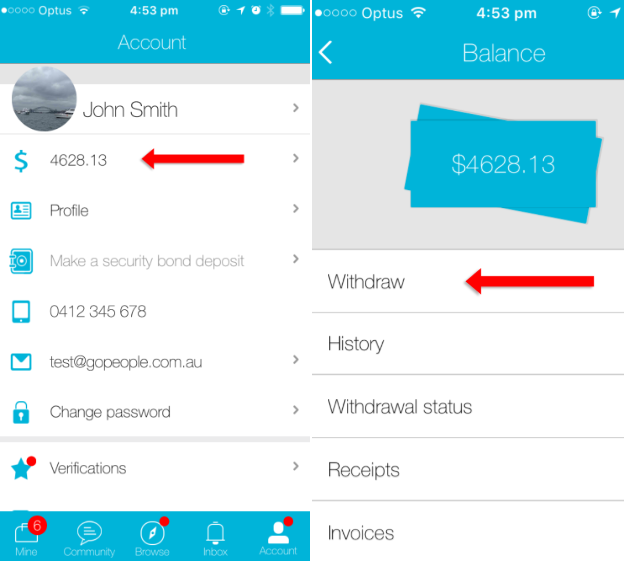 easy – simply remove both pending requests and make a new request for $200. $500 in their account, the maximum they can withdraw is $400. completed (that is, once either the Sender or recipient have signed off). appear almost instantly in their account.